I extend a personal invitation to you to visit our conveniently located dental office in Roscoe, IL. We are centrally positioned in the heart of the Stateline Area and have clients from South Beloit, Rockton, Roscoe, Machesney Park, Loves Park and Rockford, Illinois. Easy access and parking are available, but it’s our service and family atmosphere that will make your visit to the dentist seem enjoyable. We’ve been serving this area since 1997 and can provide plenty of referrals from area families who vouch for our friendliness, understanding and professionalism. We know you have a choice when looking for a dentist, and we appreciate you considering us when reviewing your options. We will do everything we can to make your visit a pleasant one. We look forward to seeing you next time at 5412 Bridge St., Roscoe, Il. Please call 815-623-1900 for your next appointment. While traditional dentistry focuses on oral hygiene and preventing, diagnosing and treating oral disease, cosmetic dentistry focuses on improving the appearance of a person’s teeth, mouth and smile. In other words restorative, general and/or family dental practices address dental problems that require necessary treatment, whereas cosmetic dentistry provides elective – or desired – treatments or services. Dr. Susan Anderson has been a wonderful dentist for our entire family. 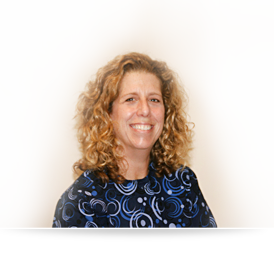 Her professional and caring manner puts her patients at ease and her knowledge and expertise addresses the problem quickly and efficiently! I was so impressed with Dr. Anderson that I referred her to my parents, sister and her family and to all my friends. We don’t mind going to the dentist now because of Dr. Anderson and her terrific staff.